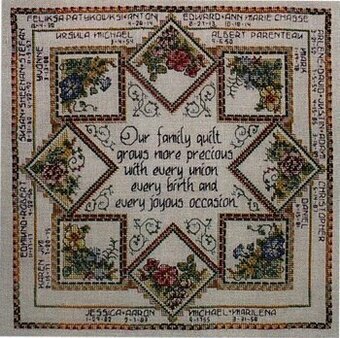 "Our family quilt grows more precious with every union, every birth, and every joyous occasion." 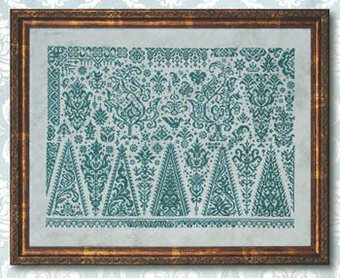 The names and birthdates of your family are stitched in the borders surrounding the design. Model stitched on 28 Ct. White Cashel with DMC floss. Size of finished design 12x12". 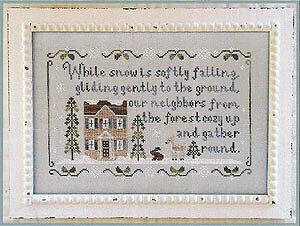 "While snow is softly falling, gliding gently to the ground, our neighbors from the forest cozy up and gather round." Stitched on 28 Ct. Pearl Grey linen with DMC floss and Crescent Colours. Stitch Count: 157W x 106H. Mis-matched stockings and mittens adorn this unique "Pair" Tree! Model stitched on 14 Ct. Summer Khaki Aida with DMC floss. Stitch Count: 121H x 87W. Includes star charms. 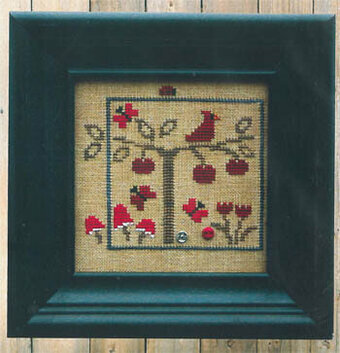 A Diane Arthurs design stitched in one shade of DMC (#498 dark red). 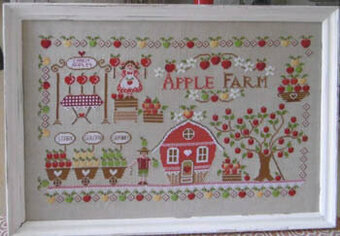 Model stitched 14 Ct. White aida with a stitch count of 72W x 129H. 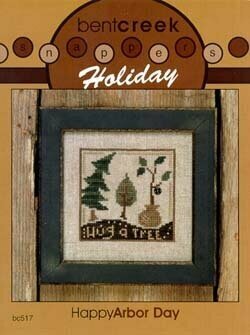 Celebrate Arbor Day - Hug a Tree! 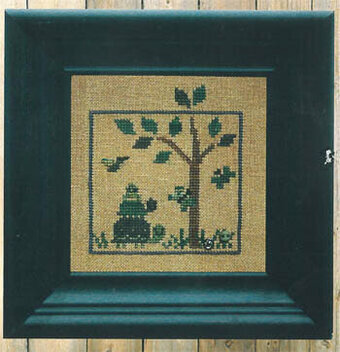 Model stitched on 32 Ct. Natural Linen. 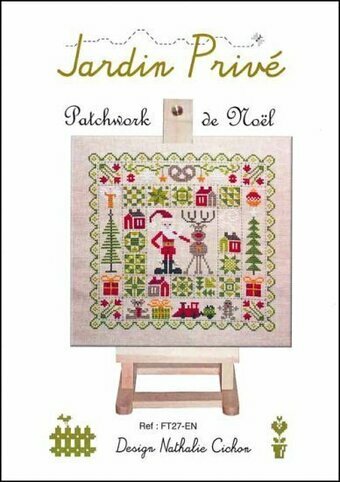 Stitch Count: 50W x 50H. Includes black snap embellishment. Two sheep and two blackbirds admire the willow tree outside of the majestic inn. Model stitched on 16 Ct. Betsy Ross linen with DMC floss. Stitch Count: 69W x 189H. Model stitched on 32 Ct. Natural Raw Linen with DMC floss, Weeks Dye Works (Juniper, Hazelnut), Gentle Art Sampler Threads (Mulberry, Oatmeal), and Rainbow Gallery Wisper (W89-Ecru). 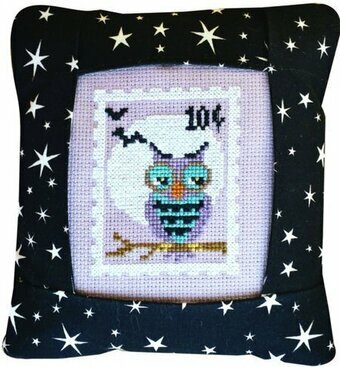 Stitch Count: 104W x 104H. Model stitched on 14 Ct. white perforated paper with DMC floss, Kreinik #4 Braid and Mill Hill beads. Stitch Count: 17x21. Model stitched on 14 Ct Bluebird Hand-dyed Aida from Vintage NeedleArts using Classic Colorworks, Gentle Art Sampler Threads, and Weeks Dye Works (or all DMC ecru, 310, 930, 169, 501, 3021, 3688, 151, 816, 3822, 729, 936). 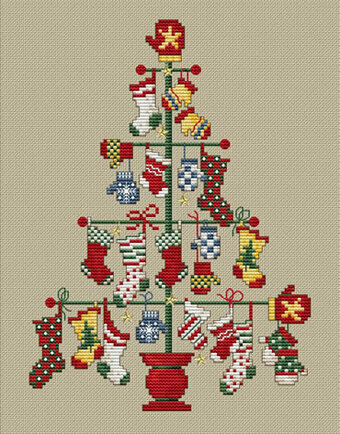 Stitch count is 123W x 56H. Kit Includes: Mill Hill glass beads, Mill Hill ceramic button, 14 Ct. Perforated Paper, floss, needles, chart and instructions. Finished size: 5.25" x 5.25". 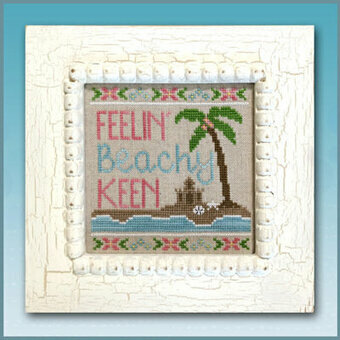 "Feelin' Beachy Keen" Model stitched over 2 thread on 32 Ct. Country French Cafe Mocha linen with DMc floss and Classic Colorworks floss (or all DMC 743, 869, 906, white, 598, 956, 420). Stitch Count: 69W x 69H. 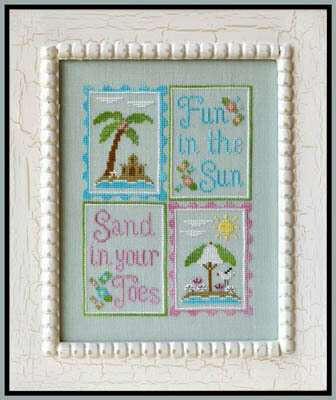 Model stitched on fabric of your choice with DMC floss, Threadworx floss, Rainbow Gallery Petite Treasure Braid, and Mill Hill beads. Stitch Count: 169W x 181H. 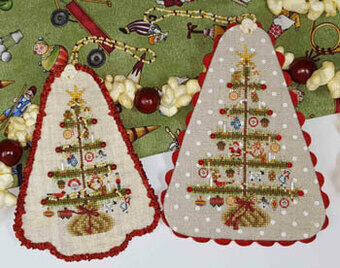 The complete kit includes 26 Ct. White linen, pattern, thread, needle and instructions. 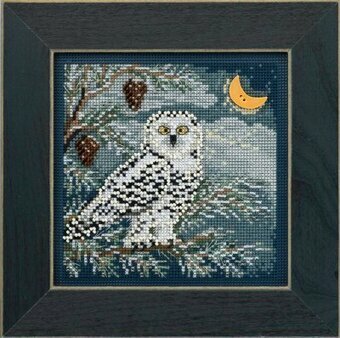 Finished size: 11.6" x 14.8"
Model stitched over 2 threads on 32 Ct. Beige linen with Gentle Art Sampler threads (or DMC 3362, 3012, 840, 838, 3866, 739, 3064, 3828, 355). Stitch Count: 80W x 53H. Model stitched on 32 Ct. Light Mocha Belfast using DMC floss. Stitch count 250x156. "Close your eyes, now make a wish." 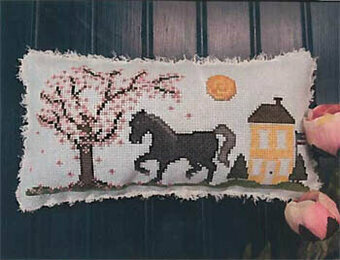 Model stitched on fabric of your with DMC floss or Gentle Art Sampler threads. Stitch Count: 153x225. 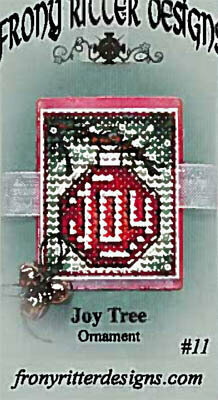 Kit Includes: 14 Ct. perforated paper, beads, floss, needles, chart and instructions. Finished size: 2.5" x 2.75" each. 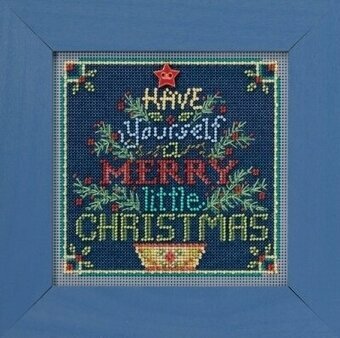 "Merry Christmas"
Model stitched over 2 threads on 30 Ct. Straw linen with Weeks Dye Works floss, Gentle Art Sampler threads, Classic Colorworks floss and DMC floss (or all DMC 553, 317, 310, 839, 3835, 550, 3033, 327). Stitch Count: 50W x 50H. Comes with snaps and button. 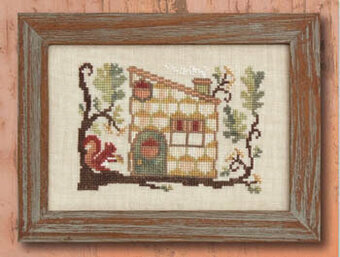 Kit includes beads, 14 Ct. Natural Brown Aida, floss, needles, chart & instructions. 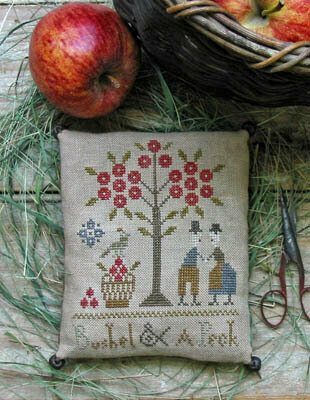 Finished size: 5.25" x 5.25"
Kit includes large count natural Jute fabric, acrylic yarn, needle, & instructions. Finished size: 46" x 46". Model stitched on 14 Ct. Black Aida with DMC #8 Pearl Cotton. Stitch Count: 49x119. 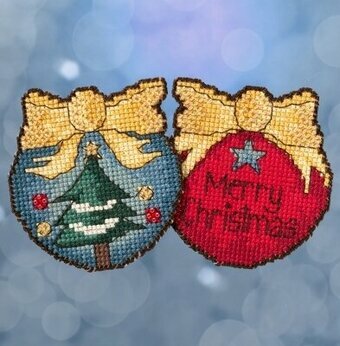 Model stitched on fabric of your choice with DMC Satin floss, Threadworx floss and Mill Hill beads. Stitch Count: 259W x 263H. Model stitched on 30 Ct. Watermelon linen by Weeks Dye Works with DMC floss. Stitch Count: 101W x 132H. Color Chart. Model stitched on 32 Ct. Dirty Linen with DMC floss. 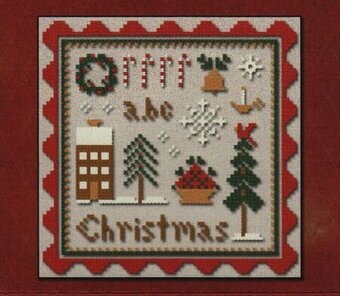 Stitch count is 195 x 46. 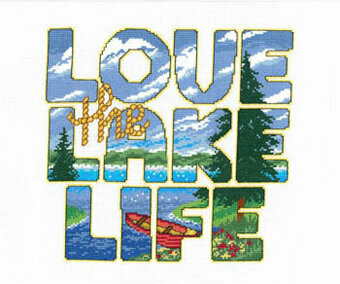 Stitch Count: 67 x 84. Model stitched on 14 Ct. Lt Blue Aida with DMC floss. Stitch Count: 224x224. Model stitched on 14 Ct. White Aida with DMC floss. Stitch Count: 128 x 142. 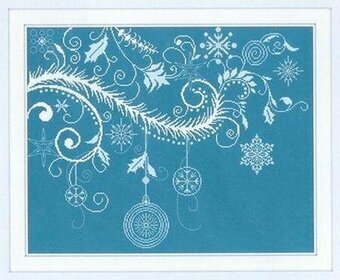 Designed by Ursula Michael. Part of the World of Color Snapper series. Model stitched on 30 Ct. Straw Linen using Weeks Dye Works, Gentle Art Sampler threads and DMC or all DMC floss (221, 317, 310, 921, 304, 839, 3033 and 321). Stitch count 50x50. 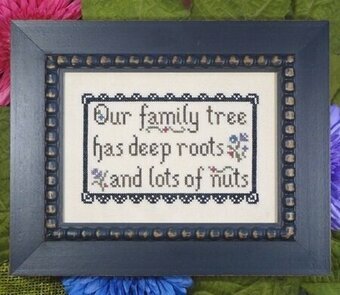 "Our family tree has deep roots and lots of nuts." Model was stitched on 32 Ct. Lambswool Jobelan from Wichelt using Weeks Dye Works threads. Stitch count: 85W x 53H. 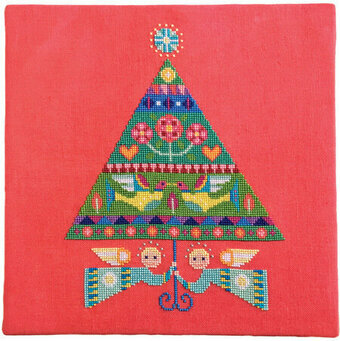 Kit Includes: Beads,ceramic button, perforated paper, floss, needles, chart and instructions: 5.25" x 5.25"
Large tree model stitched on 32 Ct. Raw Natural/White Dot Belfast linen. Stitch Count: 52W x 79H. 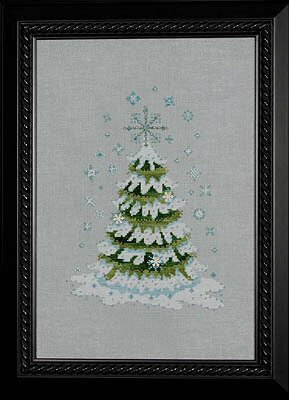 Small tree model stitched on 32 Ct. Lambswool linen. Stitch Count: 43W x 67H. Both designs use DMC floss and Mill Hill beads. Finishing instructions are included. 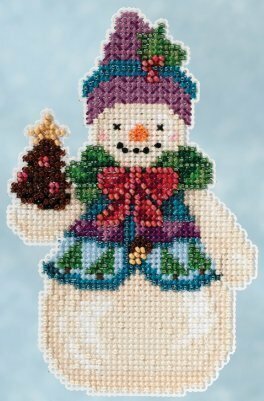 Kit includes pattern, Classic Colorworks Belle Soie Silk, Mill Hill Beads & Treasures, Kreinik #4 Braid, and needle. Also required, but not included, is 32 Ct. Ocean Kiss Linen. Finished Size: 6 1/2" x 9". 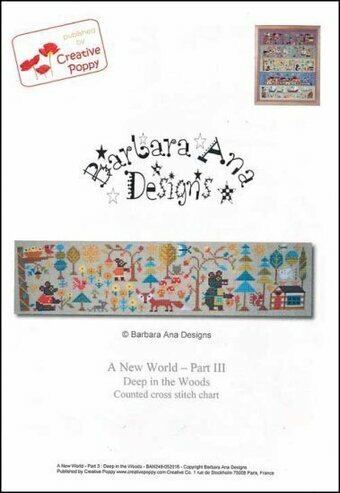 Kit Includes: Beads, ceramic button, perforated paper, needles, floss, chart and instructions. Size: 5" x 5". 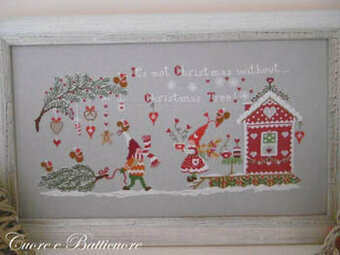 Kit Includes White Perforated Paper, floss, needles, beads, chart and instructions. 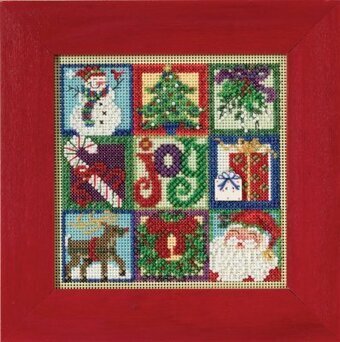 Finished size: 3" x 5"
This cross stitch kit contains 14 count evenweave cotton fabric, woolen and acrylic yarn in fourteen different colors, one color chart and one needle. 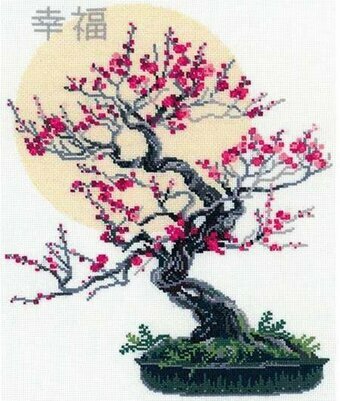 Design: Bonsai Of Sakura Wish Of Well Being. Finished Size: 17 3/4" x 13 3/4". Pattern comes with four full skeins of Classic Colorworks floss (Spinach, Ruby Slippers, Roasted Chestnut, and Sassy Brass). Suggested fabric is 30 Ct. Natural Linen by Northern Cross or 30 Ct. Creek Bed Brown Linen by R&R Reproductions. Also needed is one skein of DMC White or Ecru that will contrast with the fabric that is chosen. Stitch count: 69W x 69H. 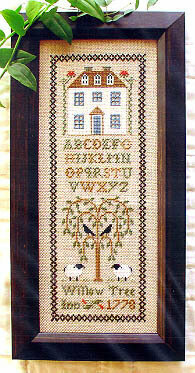 Complete kit includes 14 Count White Aida, pattern, threads, needle and instructions. 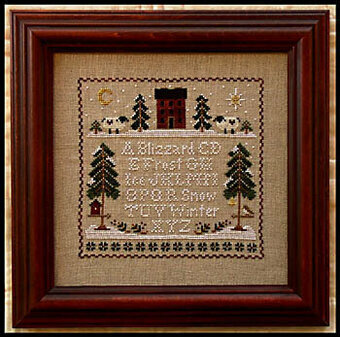 Finished size: 7.2" x 28"
Model stitched on 32 Ct. Classic Homespun by R&R Reproductions using Weeks Dye Works, DMC & Gentle Arts Sampler threads. 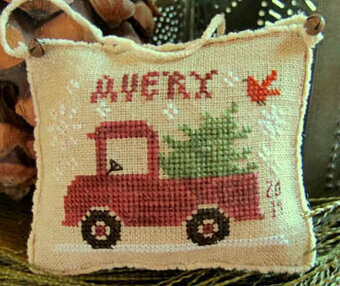 Ornament is trimmed with Italian Custard Chenille trim & optional tiny rusty bells. Model stitched on 32 Ct. Creme Brulee by R&R Reproductions with Clasic Colorworks floss (or DMC 841, 434, 3371, Ecru, 3777, 730). Stitch Count: 55x55. Finished Size: 3 1/2" x 3 1/2". 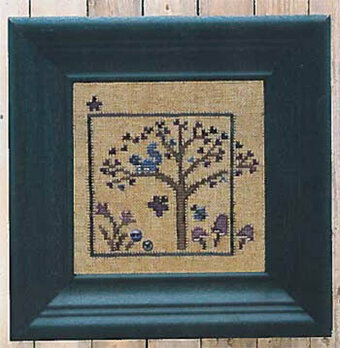 Model stitched on your choice of fabric with DMC floss and Kreinik Blending Filament. 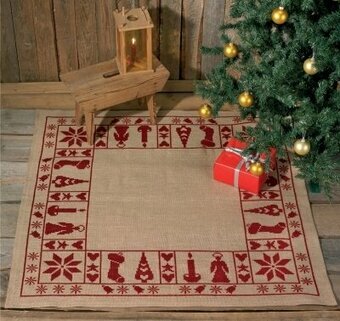 Stitch Count: 248W x 170H. "Fun in the Sun. Sand in your Toes." 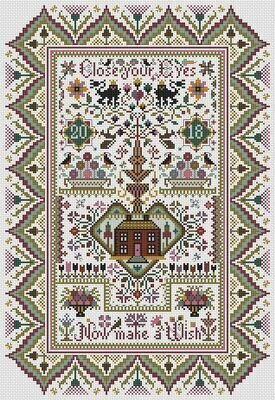 Model stitched on 32 Ct. Star Sapphire linen with DMC floss, Classic Colorworks, and Gentle Art Sampler threads (or all DMC 420, 612, 727, 3031, White, 3609, 704, 3846). Stitch Count: 83W x 115H. 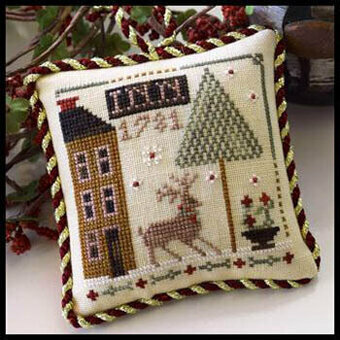 Kit includes pre-sewn pillow, 16 ct. Aida cloth, DMC floss, tapestry needle, & pattern. Finished size: 5 1/2" x 6 1/2". Prints may vary. Model stitched on 32 ct Mocha Belfast Linen with DMC Floss. Stitch count: 117W x 117H. 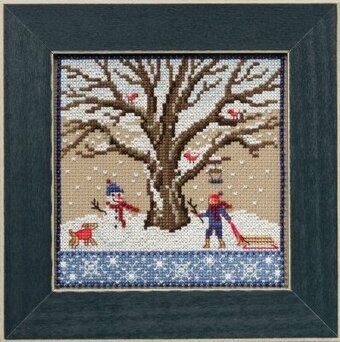 Stitched on your choice of fabric with DMC floss, Kreinik Blending Filament, Kreinik #4 Braid, and Mill Hill Beads. Stitch count: 265W x 207H.